Kala Chana is a mildly spiced black chickpeas curry made in the instant pot or a stovetop pressure cooker. This is a simple everyday Punjabi curry, made in a onion-tomato gravy with ginger and garlic. 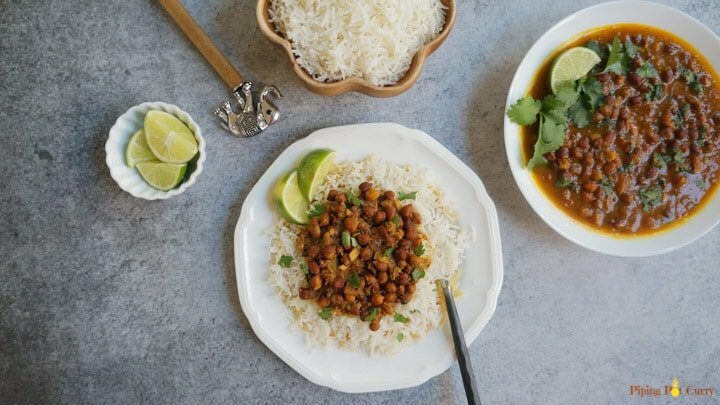 Instant Pot Kala Chana is so easy to prepare and yet so delicious. I was recently talking to a colleague and she mentioned that we like Indian food, but don’t want to have it frequently as it is very fatty, always loaded with cream. I understand why this perception – all the popular Indian curries that you eat in a restaurant are pretty heavy on cream (think butter chicken…yum!). 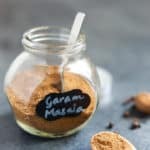 However contrary to these popular curries, most Indian households do not use much cream in their cooking. Like in this simple comforting curry, where there is no cream. 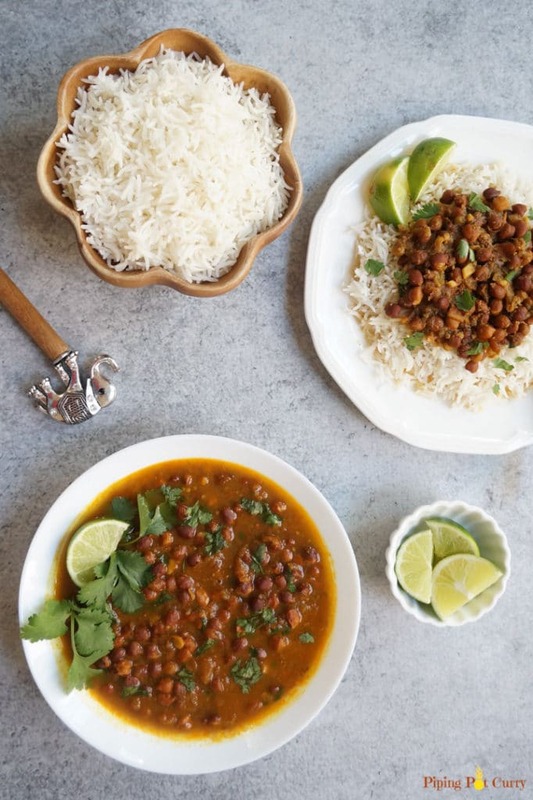 Kala chana is perfect to cook in a pressure cooker or instant pot, as it takes longer to cook. We usually have Kala Chana curry with rice or roti. But another great way to consume them is as a soup. Add 2 cups of chopped spinach or kale after the kala chana preparation in this recipe, and enjoy it as a soup. If you want to cook Kala Chana for Navratri without onion and garlic, check out my Sookha Kala Chana recipe. Or if you like to make a chaat/salad, check out this delicious Black Chickpea Salad with avocados. Kala chana is an excellent source of protein. One cup of cooked kala chana provides 15 grams of protein or 30% of the daily value, hence it a great addition to a vegetarian diet. 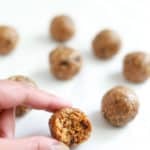 They are also low in fat and high in fiber providing 13 grams of dietary fiber, which is almost half the daily requirement. Add kala chana to your regular diet, in soups or curries or even salads, to get the benefits. How to make Kala Chana Curry in Instant Pot? The first step in preparing kala chana is washing and soaking it in ample water for 4 hours or overnight. Soaking is important for kala chana as they are otherwise pretty hard on the digestive system. Before starting to cook, dice the ginger, garlic and green chili (you can use a store brought paste too). Chili is optional, so add it based on your taste and availability. When you are ready to start cooking, put the instant pot in sauté mode. Heat oil and add cumin seeds. Then add in chopped onions, ginger, garlic and chili. Sauté for about 3 minutes until the onions are cooked and the raw smell is gone. Then add the chopped tomatoes and spices. Finally add the soaked kala chana (drain the soaking water) and 2 cups of water for cooking. Stir well. Change the instant pot setting to bean/chili mode and close it. The timer will be automatically set to 30 minutes. When the instant pot beeps, release the pressure naturally (NPR). Kala chana curry are almost ready, just stir in amchur or dry mango powder. You can also add lemon juice if you don’t have amchur powder. How to make Kala Chana Curry in Stovetop Pressure Cooker? Traditionally, Kala Chana was cooked separately with salt, then tempering was done separately in a pan. Here I suggest a one-pot method, so the kala chana and tempering with ginger, garlic, onions, tomatoes cooks along with the chickpeas. The main difference from the above method for instant pot is the pressure cooking time on stovetop. We will pressure cook on high flame until two whistles, then reduce to medium flame and cook for another 12 minutes. Everything else remains the same. 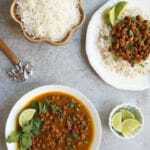 Garnish with cilantro and kala chana curry is ready to be served with rice or roti. Kala Chana is a mildly spiced black chickpeas curry made in instant pot. This is a simple everyday Punjabi curry, made in a onion-tomato gravy with ginger and garlic. Wash chickpeas and soak for 4 hours or overnight in 3 cups of water. The chickpeas will increase in size when they are soaked. Start the instant pot in sauté mode and let it heat. Add oil, cumin seeds to it. When the cumin seeds start to splutter, add chopped onion, ginger, garlic and chili pepper. Sauté for 3 minutes. Add chopped tomatoes and spices. Stir and sauté for another 2 minutes. Drain the soaking water from kala chana. Add kala chana and 2 cups of fresh water to the instant pot. Change the instant pot setting to bean/chili mode. This will automatically set the timer to 30 minutes. When the instant pot beeps, let the pressure release naturally (NPR). If the pin has not dropped after 20 minutes, release the pressure manually. 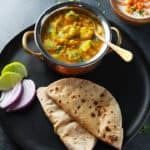 Open the instant pot and add amchur (dry mango powder) to it. Stir well for a minute. Garnish with cilantro. Kala Chana curry is ready to be served with rice or roti. Heat oil in the pressure cooker on medium-high flame. Add cumin seeds. When the cumin seeds start to splutter, add chopped onion, ginger, garlic and chili pepper. Sauté for 3 minutes. Add chopped tomatoes and spices. Stir and sauté for 3-4 minutes. Drain the soaking water from kala chana. Add kala chana and 2 cups of fresh water to the pressure cooker. Cover the lid, turn the heat on high flame and pressure cook it until your hear two whistles. Now reduce the flame to medium and pressure cook it for another 12 minutes. Let the pressure release naturally. Open the lid, add amchur (dry mango powder) and stir well for a minute. Add 2 cups of chopped spinach or kale after the kala chana preparation in this recipe. Let it boil for a minute and enjoy it as a soup. Traditional punjabi style, Kala Chana Curry is soupy and a has extra liquid, as it is mostly enjoyed with rice. If you like it to be less soupy, you can reduce the amount of water for cooking to 1.5 cups. Hi Meeta! If you want to double the recipe, should you also double the water or keep the water the same as for a single batch (2 cups vs. 4 cups)? Thank you! Hey Dawn – If you like thick curries, then just leave the water at 2 cups when doubling the recipe. Otherwise, you can add 3 cups when doubling the recipe. You can also adjust the consistency after pressure cooking depending on taste. Hope you enjoy it! So glad you enjoyed the Kala Chana. Thank you for sharing back! Will 30 minutes in Bean Chilli mode make it melt in your mouth soft? Hey Anoni – I think the chana was quite soft. But if you like super soft, feel free to increase pressure cook time to 35-40 minutes. Hope you enjoy it! I want to make this less watery and with potatoes as in the roadside chana batata. What do you suggest? Hey Nina – If you want to make this like a dry chaat, then it would be good to boil the chana and potatoes separately, as their cooking times are different. 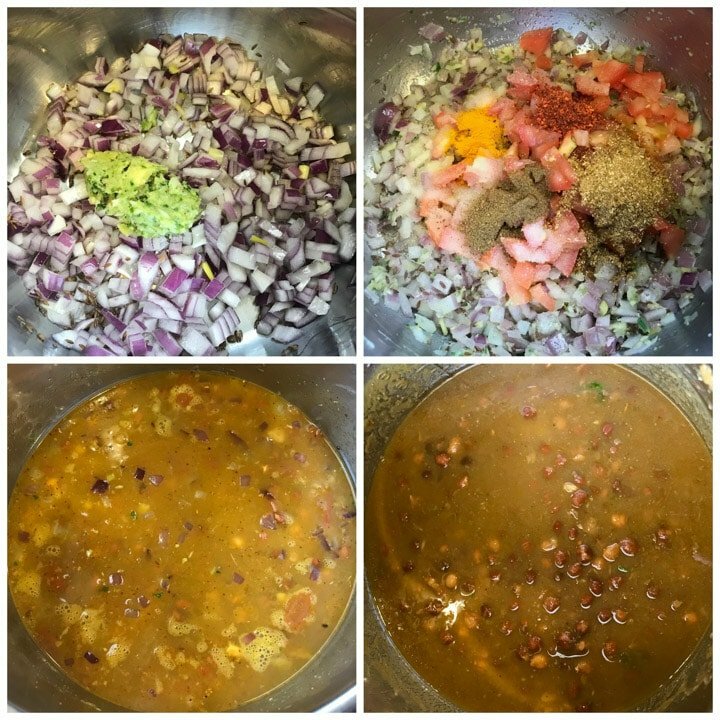 If you want to make it like a curry, then make the kala chana as in the recipe with 2 cups water for 25 minutes at high pressure. Then open and add cut potatoes and pressure cook for 3-5 mins or you can also just cook them on saute mode (that can help the curry to completely dry). Hope that helps! Other than being less attractive, can regular chana be used in place of the black chana? This worked out wonderfully. My kids and wife loved it. 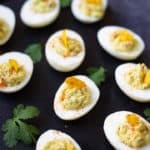 Thank you for posting instant pot recipes. My mom used a regular pressure cooker and I’ve never really got the hang of it. I’m going to try your rajma recipe next. Tx. Ash from Canada.. and I’m going to post this in my Fbook group. I followed this pretty much exactly, but with 1.5 cups chana and 3 cups water. The NPR took forever so I gave up and released pressure after 35 minutes of waiting for the pin to drop. The flavors were wonderful but I thought the beans were a little undercooked and gritty. Is that the texture they are supposed to be or should I cook longer? 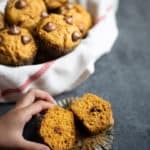 Thanks for trying the recipe and sharing your feedback, Bonnie. If you felt the chickpeas were undone, I suggest to add 10 more mins on manual high pressure next time. You could also soak the chickpeas for longer, if you did not already soak overnight. A lot depends on the quality of chickpeas. It is usually okay to wait 20 mins and if the pin has still not dropped, release the pressure manually. I will update this and future recipes to mention that.